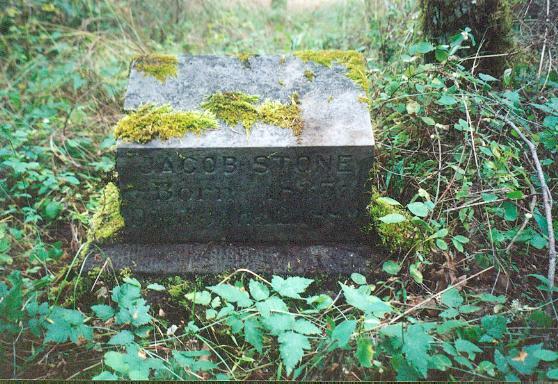 Introduction: When Jacob Stone died a list was made of his assets and debts. The following is a report on personal property (soon to be auctioned) and any other sources of income. Jacob Stone is buried in the Laramie Cemetary along the Deshutes River. 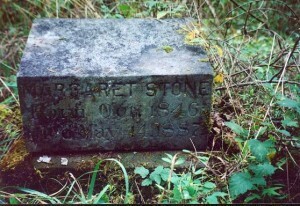 The cemetary, in 2007, was much overgrown. 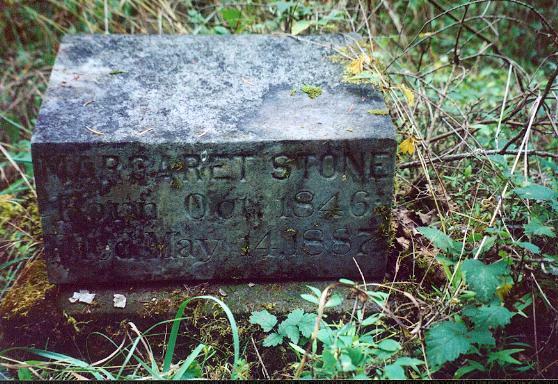 Margaret Stone is buried in the same cemetary.